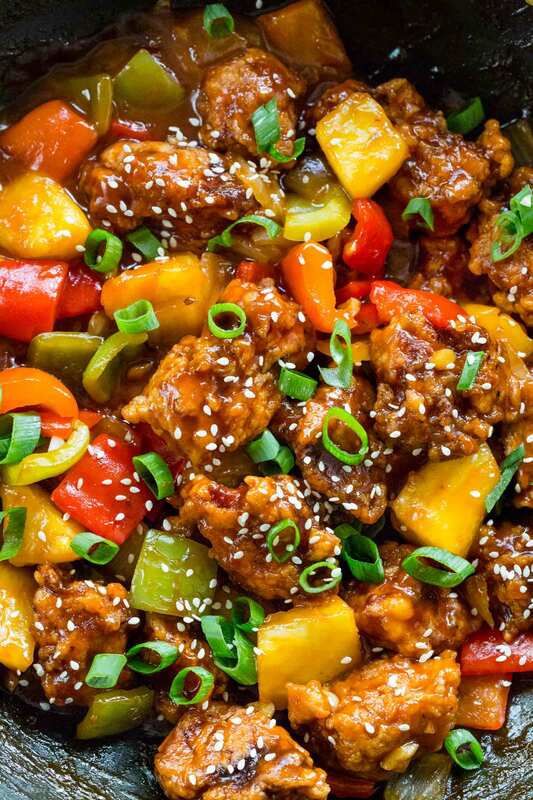 Crispy and tender Sweet And Sour Pork tastier than takeout! A Chinese stir-fry dish made with juicy pieces of pork tenderloin, bell peppers, onion, and pineapple. Battered pork gets fried until crispy then tossed in a sweet and tangy sauce. So skip the takeout and make a classic Sweet and Sour Pork served with our Easy Fried Rice that the whole family will enjoy. 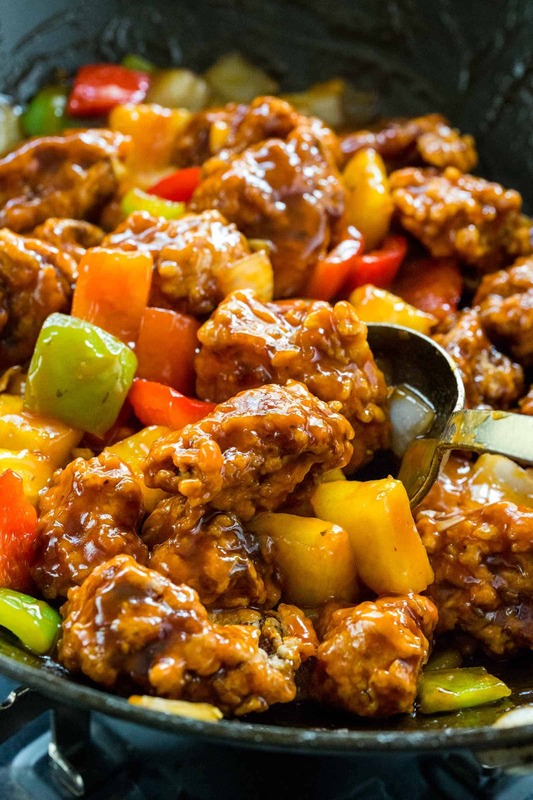 No matter where you go, sweet and sour pork is featured on almost every Chinese restaurant menu. It’s an Asian staple. 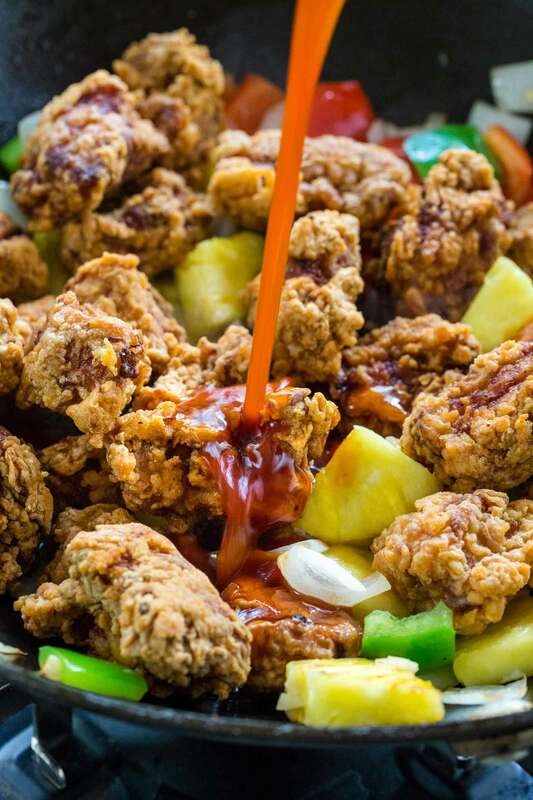 Coated pieces of meat are deep fried until golden and crunchy, then tossed in a vibrant sauce that packs a balance of sweet and tart flavors. 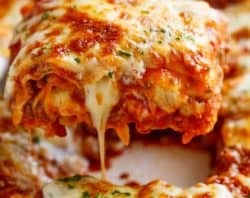 It seems like it would be complicated to make, however, I’ve tested and broken down this recipe into two simple sections. This way you can easily make a homemade version right in your kitchen. Hello there! I’m Jessica Gavin, a Certified Culinary Scientist. 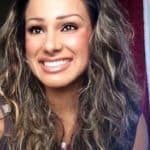 I share the science behind better cooking over on my website JessicaGavin.com. I’m delighted to have this tasty creation on Karina’s mouth-watering website. 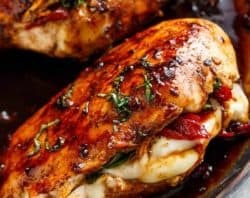 To help build your culinary skills, in this recipe you’ll get a chance to practice your breading and sauce making techniques. You’re in for a treat because I’m also going to show you how to master the art of deep frying, which is what gives this dish the enticing texture that keeps people going back for seconds. 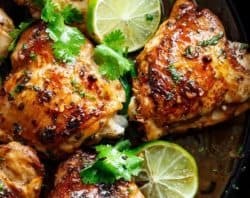 Paired with a super fast sauce that serves up authentic flavors, this meal is a real crowd pleaser. Cut pork into consistently sized pieces, about 1-inch cubes for even cooking. Use the standard breading technique. Coat the pork with flour, egg, then flour. Make sure to use a high smoke point oil for deep frying like peanut or vegetable oil. Maintain an oil temperature of 350 to 375°F to properly cook and brown the food. Deep fry the pork in batches so the pieces don’t stick and oil temperature stays hot. What makes this dish different than a traditional stir-fry is that it gets a light flour coating on the outside, and then fried for an extra layer of crispiness. The fried pork pieces could be devoured as is, so go ahead and take a little taste before it goes into the sauce. The texture is similar to fried chicken, for more crunch factor. Now it’s time to make the sauce! Diced onions, bell peppers, and pineapple are tasty additions to the dish. The fresh produce adds a nice bit of color and flavor. I love how the fruit compliments the sauce, mimicking the candied taste with a pop of acidity. Stir-fry the ingredients just to the point of keeping them crisp-tender. This sweet and sour uses simple ingredients and comes together in a snap. 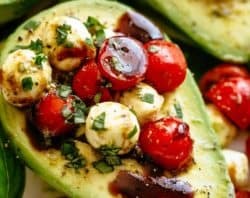 Almost all recipes use ketchup, but the food scientist in me reverse-engineered the recipe to give you a more wholesome and tastier version. The cornstarch is the thickening agent combined with water to make a slurry. It’s added at the very end of cooking the sauce to give it richness and a glossy appearance. The thickness then sticks and clings to the pieces of pork. It’s delicious! This recipe may take a few more steps, but it’s worth it! The texture that the breading provides is unmatched, and it’s fun to play around with cooking techniques you might not use every day. I like to serve the pork in a heaping bowl of steamed rice, it’s the ultimate comfort food. If you like this recipe, I know you’d love my easy shrimp stir fry too. Happy cooking! Love Asian-inspired cooking? Try these! 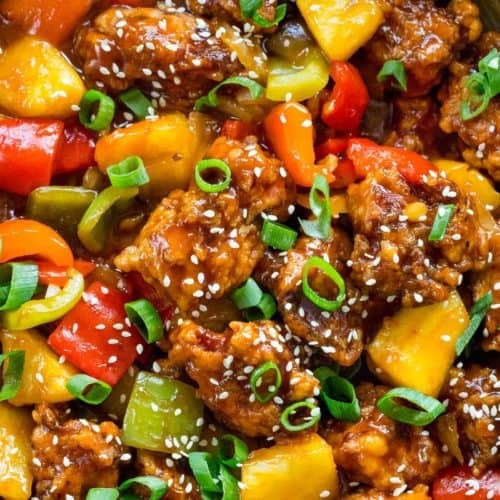 A classic Chinese sweet and sour pork stir-fry recipe made with juicy pieces of pork tenderloin, bell peppers, onion, and pineapple. In a medium-sized bowl combine sweet and sour sauce ingredients, honey, rice vinegar, soy sauce, and tomato paste. Set aside. In a small bowl combine the cornstarch and water. Season pork with ½ teaspoon salt and ¼ teaspoon pepper. In a shallow dish mix together flour and ⅓ cup cornstarch. In a separate shallow dish add eggs and whisk. 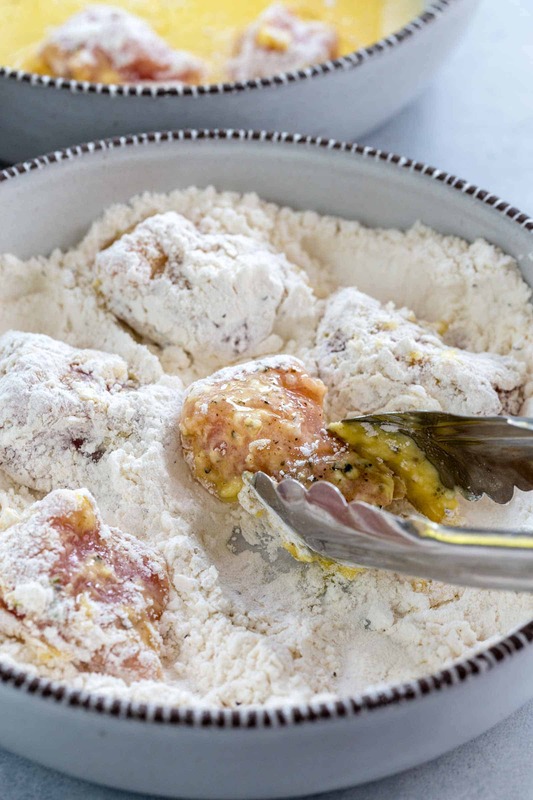 Batter each piece of pork by coating it with the flour mixture, then dip in the whisked egg, then a final coat in the flour mixture. In a wok or medium sized pan, heat 2 cups of oil over medium-high heat. 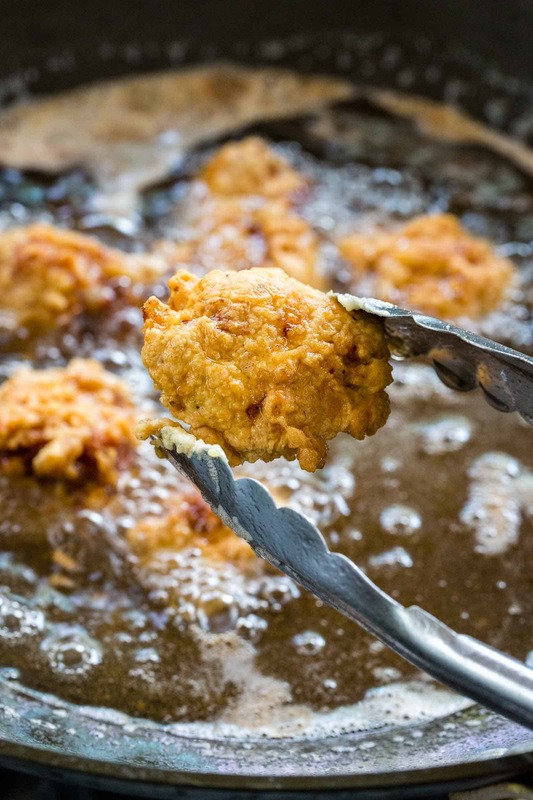 Once the oil reaches 350°F (177°C), work in 2 to 3 batches, adding the battered pork and frying until golden brown and pork is cooked through, about 5 to 7 minutes. Transfer pork to a sheet pan and drain on paper towels. Fry the next batch. Discard the oil from wok and carefully wipe the inside of the pan with paper towels to clean. Heat wok over medium-high heat and add in 1 tablespoon oil. Once the oil is hot add the garlic and onions, stir-fry for 30 seconds. Add in the red and green bell peppers, and stir-fry for 1 minute. Add in the pineapple and stir-fry for 1 minute. Add in the pork and the sweet and sour sauce, stir to combine and allow the sauce to come to a boil. Stir the cornstarch slurry and then add it to the pan, stirring constantly until the sauce thickens, 60 seconds. Mix the ingredients with the sauce to coat the pork. Garnish the sweet and sour pork with green onions and sesame seeds and serve over rice. Finally after 15 years being with my beautiful dark skinned wife I made her delicious deep fried pork from the sweet and sour pork recipe. The batter was perfect. I can’t wait to try fried chicken with it ! I love cooking for my family and this is something I’ve had trouble mastering. The sweet and sour sauce was yummy too with the tomato paste! Can’t wait to try your other recipes! Hi! I absolutely LOVED this recipe and have made it several times already (and once with cauliflower). 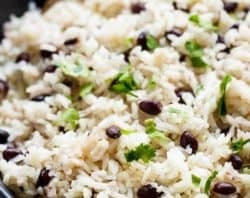 As a Chinese American, I wanted to tell you that this recipe hit all of the flavor notes so strongly I felt like I was back in my parent’s restaurant where they would make this dozens of times a day. I wanted to send a suggestion that may make this more authentic. During the stage of adding garlic and onions to the wok I add about half a tablespoon of ground ginger paste. I grew up with ginger and garlic in pretty much all of the dishes I ate so to have an Asian dish without it seemed blasphemous, lol. 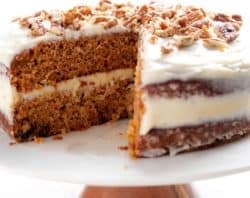 I actually have not tried this recipe without ginger to compare, but just wanted to throw it out there! really yummy and quite easy too! I made this last night and it was so delicious! I made it gluten free and nightshade free due to allergies, but it still tasted like the real deal and will definitely be adding this to our recipe arsenal.